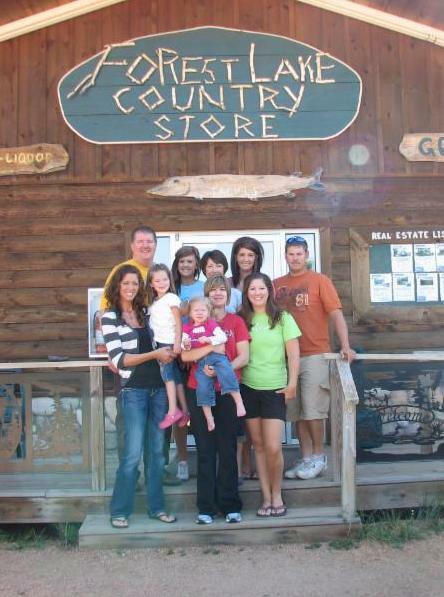 Merry Christmas Everyone from Mark at the Forest Lake Country Store. The snowmobile trails opened at noon on December 14th. There was a fair bit of activity on the trails, snowmobile trailers parked at the hotels, line of sleds waiting to fill up with gas. Reports of cross country and snow shoe trails being in good shape but a few weeds poking thru. We could always use a little more snow. The weather prognosticators tell us our wish will come true before Christmas. Ice fishing has been very good in the north woods as well. Ice was sketchy early, but ten days in the deep freeze made great ice in shallow bays and smaller lakes. The early season walleye bite has been excellent. Perch have been starting to bite but it is tough to get into deeper water, for now! 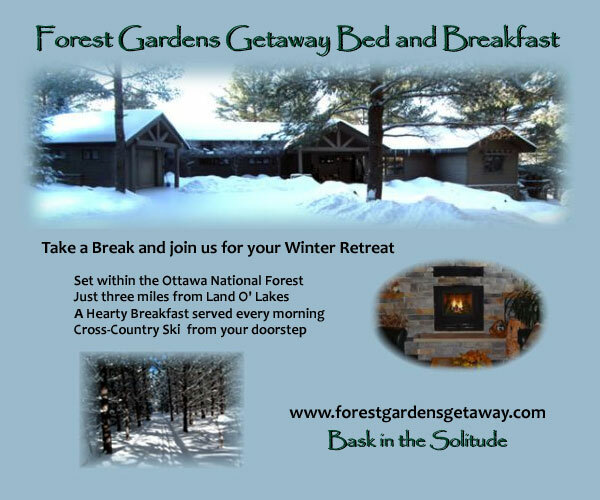 There are high hopes in the north woods for a lot of winter sport activity! A sure sign of winter in Land O' Lakes! Dr. Pete does nothing small! 8 Reindeer and a sleigh full of toys. About three times life size. 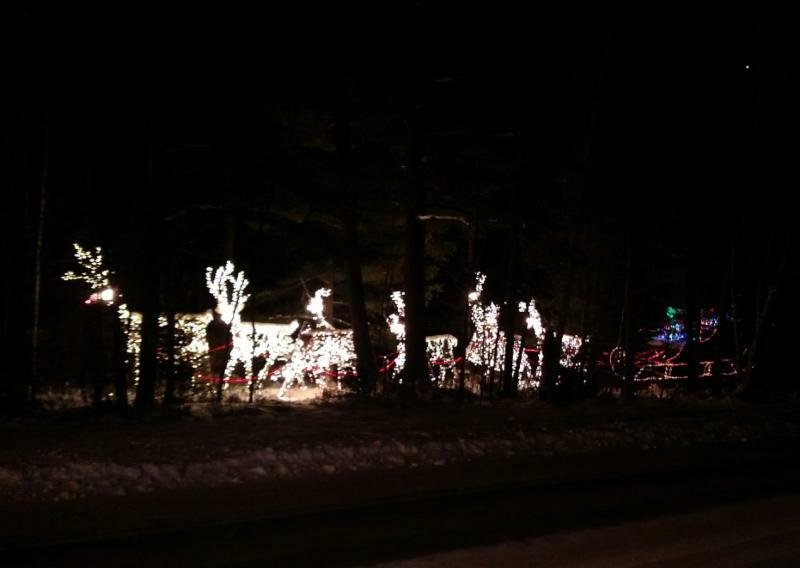 Drive thru down town and check out his night-time display. The week between Christmas and New Years we will have extended hours. We do not have many pictures of new products. Trucks arrive this week with many new items. With the Land O' Lakes grocery store closed we have found new items to fit on our shelves. We will sell bread, white and wheat (Not our home made bread, but sliced store bread) and hamburger buns. We will add in some canned goods; a couple kinds of soup, Spaghettios, Raviolis, cereal and other essential dry and canned goods. We have always stocked eggs, butter, milk, half/half, coffees, oil, flour, sugar and a few other items. Don't forget the wine and beer! Of course we have our jams, salsa's, chips and crackers. We will never be a full service or selection grocery store, but we will try to have more of the essentials that may save you a trip to the Eagle River or Watersmeet grocery store. Wendy Powalisz will lead a class on a watercolor adventure. All materials are provided and each participant will create a frame ready masterpiece! The theme is Dramatic Winter Sky's! We will offer a glass of red or white wine to loosen your creative juices. Seating is limited and advance registration is required. Cost is just $30 per artist. Nina Martin will join us for an evening of sampling great wines. Look for 19 Crimes, 14 Hands and Three Thieves. These are all Value Wines, they drink way better that they should for the low price you will pay. They are all really enjoyable wines. Sparkling wines, reds and whites will all be sampled. Cost is just $12 per person. All classes have very limited seating. Advance registration is required. Please call the store with your credit card number or stop in and get you seat reserved. available at LOLA or the Black Oak Inn. 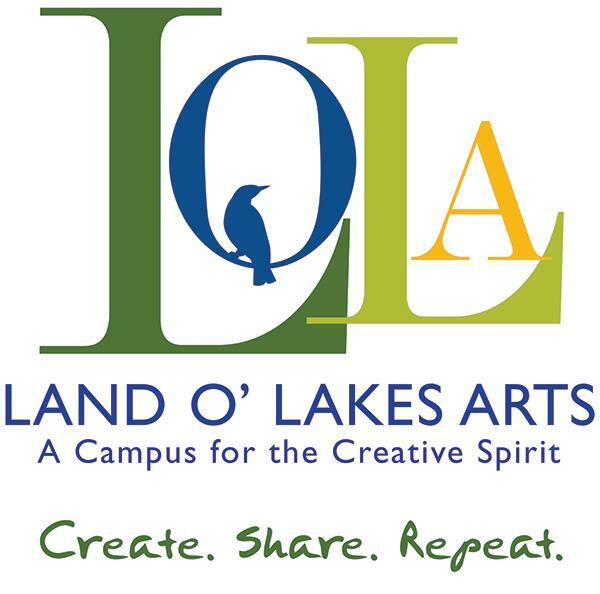 Please check the LOLA web site for other forays in art, education, entertainment and fun! Serving families in Conover, Phelps and Land O' Lakes Wisconsi. First and third Wednesday of each month. Paper goods continue to be a high demand item. 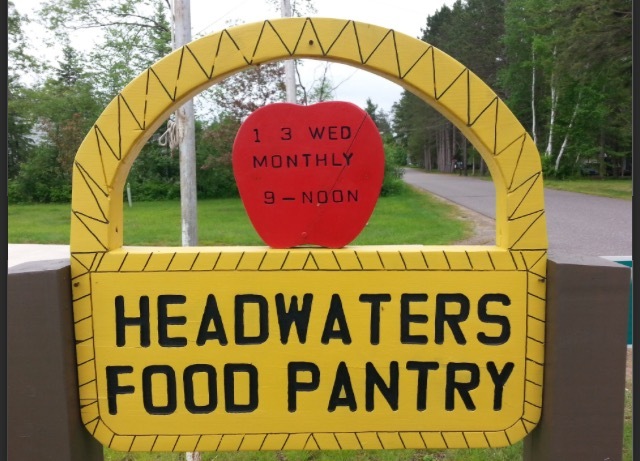 Toilet paper, and paper towels are appreciated by the over 80 families that depend on the Headwaters Food Pantry for assistance. along with the Boulder Junction Snowmobile Club’s Breakfast on Sunday, February 19. 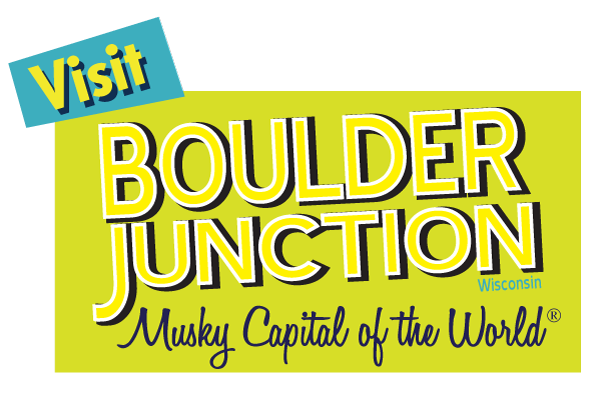 The weekend kicks off Friday evening 6pm to 9pm at Boulder Junction Winter Park, located on Old Hwy K, with a bonfire, ice skating, sledding, music and hot beverages. On Saturday, the Frozen Tozen Ice Fishing Tournament takes place on Boulder Lake. New this year are cash prizes in addition to locally handcrafted wooden awards plaques! Awards will be presented under the tent at Boulder Lake at 4:30pm. Registration begins at 7am under the tent at the Boulder Lake boat landing located on Airport Road, with walk-in registrations welcome throughout the day. There are individual and team categories. For more information and for ice fishing registration forms, visit boulderjct.org or call the Boulder Junction Chamber at (715) 385-2400. 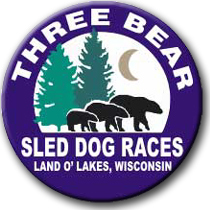 This is the longest running dog sled race in Wisconsin. Hundreds of dogs are assembled in the area between the Town Hall, Elementary School and the Fire Barn. Between races enjoy kids games, adult games. Skating lessons, and more. Food is available on site with hot coffee and hot chocolate. 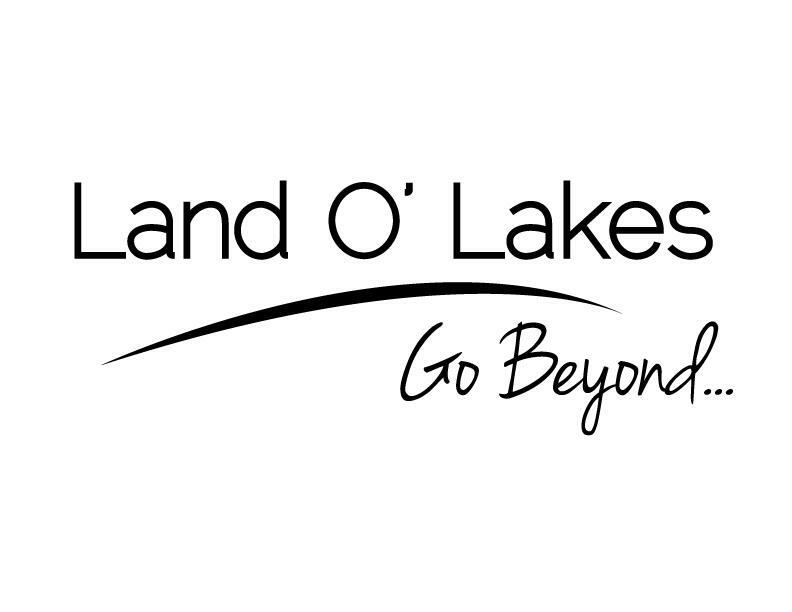 Like to travel around Land O' Lakes? Like to explore the U.P. of Michigan? This contest may be for you. 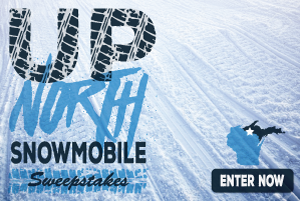 It calls out "snowmobile" but you can enjoy the prize in your car, truck, VW bus or mule driven buggy,,, Check it out. All proceeds are split between Phelps, Conover and Land O' Lakes Emergency Services. 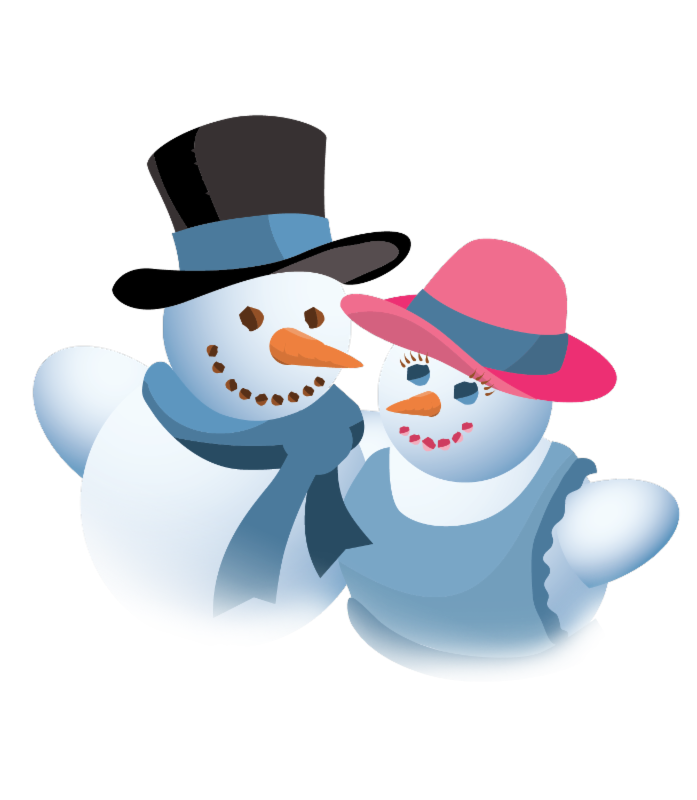 snow shoe baseball, horse drawn sleigh rides, kids games, ice bowling ice sculpting and more. And here is a link for our Facebook page! Lots of weekly news on Facebook, be a Fan! So,,, you want to reach us?